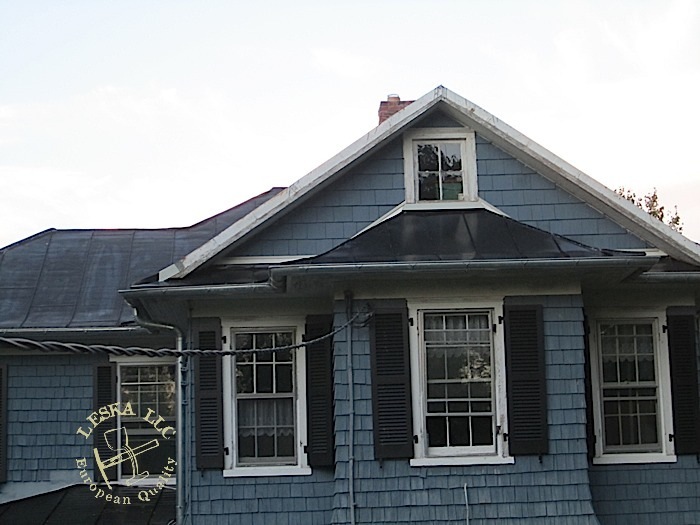 Leska LLC installed standing seam metal roof in this bay window. 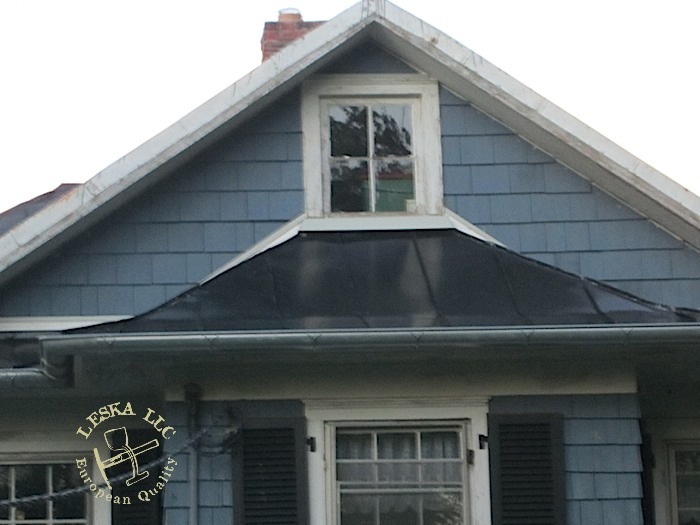 Matte black panels with 1" tall seam were used. 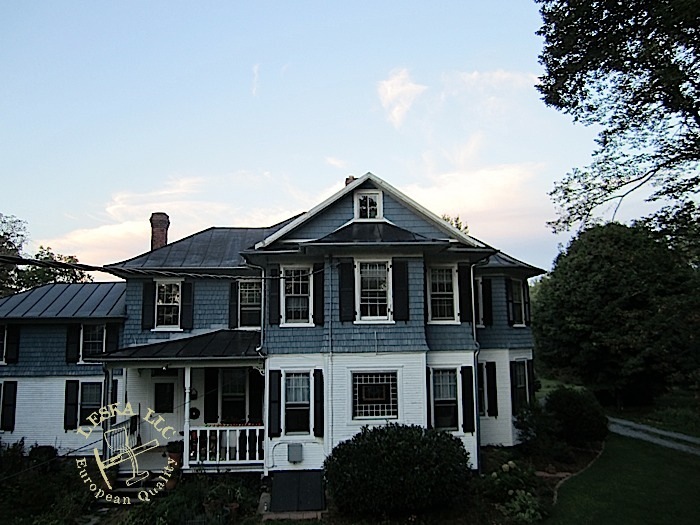 This Historic home is located in Woodbine MD and have entire home have metal roof.